Headup brings three new games to Nintendo Switch™ - Take your pick! ''In Between'', ''Toby: The Secret Mine'' and ''Super Blackjack Battle II Turbo Edition'' are coming to Nintendo eShop today! 07 August 2018 Headup will bring three new games to the Nintendo eShop today which couldn't possibly be more different from each other. Fans of platformer games especially can look forward to finally gettting their hands on both "In Between" and "Toby: The Secret Mine" for Nintendo Switch™. However, fans of challenging puzzles and artistic aesthetics will be equally delighted by them. For players looking to take some risks: "Super Blackjack Battle II Turbo Edition" will satisfy all your needs for high-stakes Blackjack action. Keep reading to find out more! In Between - Indulge in hand-painted visuals as you embark on an emotional journey with physics-defying puzzles which will challenge you time and again to reflect upon your perspectives and the meaning of life and death. Unveil the story of a man who struggles for existence and help him come to terms with his own mortality and finiteness. Toby: The Secret Mine - Experience beautifully handcrafted environments with shadow play aesthetics reminiscent of modern classics such as "Limbo" or "Badland". Help Toby to find out more about the mysterious intruders who attacked his village. Solve puzzles and overcome dangerous situations in a dark and mysterious world. Super Blackjack Battle II Turbo Edition - Place your bets and raise the stakes. Your mission is to defeat all your opponents as you pave your way to become the best Blackjack player in the world. 04 August 2018 The adventures The Inner World and its successor The Inner World - The Last Wind Monk will be released on Nintendo Switch™. After the initial success on other platforms, the beloved hero Robert, together with his friends Laura and Peck the pigeon, will embark on two journeys across the enchanting world of Asposia either of which you shouldn't miss. In times of social and political turmoil - with questionable leaders and religious fanatics as well as negative thinking in general - the Inner World series might just be able to provide a positive point of view on these matters. Despite their fun and innocent surface, both The Inner World and The Inner World - The Last Wind Monk subtly address topics which resemble real processes disturbingly well. But hey, listen, they are also great and fun games! This becomes clear if you take a look at all the awards and praise both games received for their earlier releases from the games press. From The Last Wind Monk receiving a Metacritic rating of 79 on PC as well as The Inner World winning the award for "Best German Game" (among other awards), these games are bound to be very enjoyable. Two adventure masterpieces coming to Nintendo Switch™ on August 3rd! 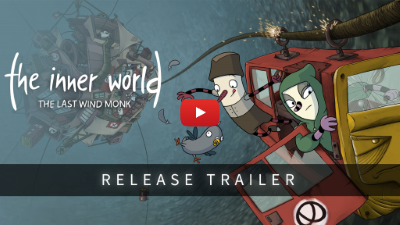 The Inner World and its successor The Inner World - The Last Wind Monk are coming to Nintendo Switch™ on August 3rd! But what to expect from the game? And who the Peck is Robert? And who is Peck BTW? On August 3rd, owners of Nintendo's portable console can finally accompany our beloved hero Robert and his friends on his two journeys across the enchanting world of Asposia. Both games --below their very fun and innocent surface-- focus on serious topics like fascism, racism and fanatic politics, or question ruthless religious leaders. In times like ours, it seems fitting to play more games like these. So, perhaps The Inner World can make the world a better place - at least a bit! 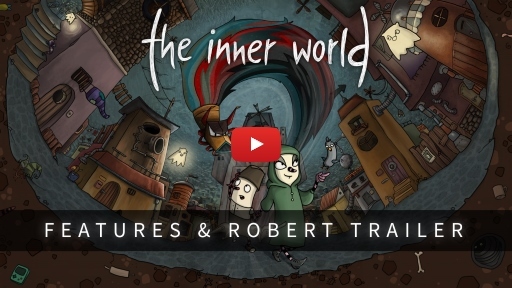 Among other prizes, The Inner World has been awarded as "Best Game" at the German Computer Games Awards in 2014, the most prestigious award of the German games instustry. It also received the "Best Family Game" award at the German Developers Awards and "Best in Show" at the Casual Connect Indie Prize 2013. And of course there were lots of nominations, too. 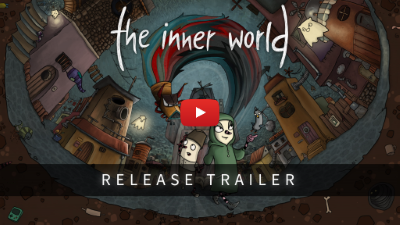 Its successor, The Inner World - The Last Wind Monk, continued this trend, receiving the "Best Indie Game" Award at the German Developers Awards 2017 and four nominations alone at the German Computer Games Awards - besides many game critics ratings between 80 to 90%. Continuously and ever since, the game has built up a huge fan base among gamers worldwide. The Inner World will be available on the Nintendo eShop for $11.99 / €11.99 / £9.99, while The Inner World - The Last Wind Monk will be at $14.99 / €14.99 / £11.99. Enjoy your stay in Asposia! Super Blackjack Battle II Turbo Edition coming for Xbox One - place your bets! 20 July 2018 Allow us to introduce you to a mashup of the unique kind: Have you ever seen 90's beat'em up arcade heroes gather to find out who is the world's leading card player? 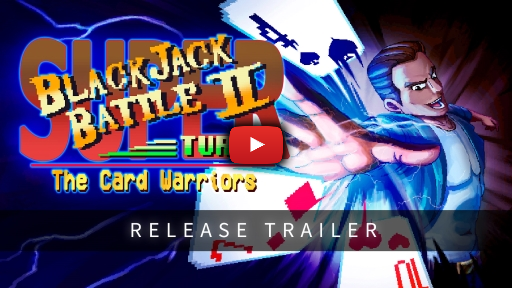 Soon you can with Super Blackjack Battle II Turbo Edition - The Card Warriors! Please feel free to share the video with your community, and we appreciate the coverage. You will also find the game on the Microsoft Store. Right now, it is discounted by 20% and will be downloadable on July 25th! Get the party platformer with all its DLCs and two sticker sets in one packed retail box! 17 July 2018 After Runbow's recent digital release on the Nintendo eShop and on the PlayStation®Store, 13AM, Headup and Merge Games are excited to announce the release date of the physical Deluxe Edition as well, including all DLCs available as well as two colorful sticker sets! It will be in stores on August 10th. The DLCs included are Satura's Space Adventure as well as all 4 costumes and music packs. In addition, you'll get two fun sticker sheets. The pricing of the Deluxe Edition will be €29.99 / $ 29.99 / £24.99 for both platforms, PlayStation®4 and Nintendo Switch™ - and it contains so much fun for the whole family! You'll also get it on Game Fairy including the soundtrack on CD as digi-pack. 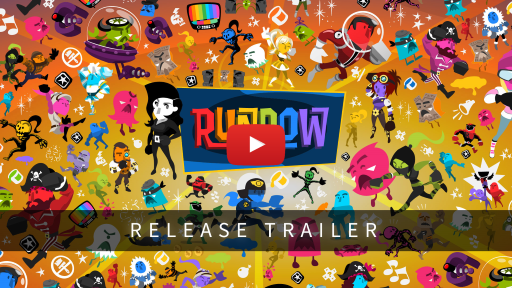 Runbow features an eye-catching color mechanic that has racers brawl against each other while objects and platforms appear or disappear based on the continually changing background color. With 8-player madness locally or online, 5 game modes, 19 guest characters, hundreds of levels, and tons more content all in one unforgettable colorful game, you better get ready to Runbow! All Headup titles discounted for up to 90%! the Headup Midweek Madness just started, discounting Headup's whole portfolio by up to 90%! It will end on Friday, 7pm CET. Feel free posting our list on all of your social channels and please add @HeadupGames! 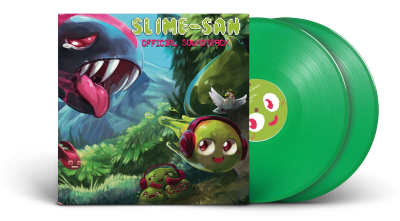 Slime-san: Superslime Edition is upgrading itself to the ultimate slimy package! 11 July 2018 What does that mean exactly? That means you’ll have access to a brand new campaign expanding the game’s content by 30% and Nintendo Switch™ owners will be able to get it for 50% off, while on Steam it’s 40% off! With the Superslime Edition, you'll get more Slime-san than ever before: Escape a giant worm's innards, play two crazy additional adventures and some brand-new levels that weren't available on other platforms before. It includes over 150 challenging levels (plus NG+) and an insane amount of features (see below) as well as a great selection of mini-games, which will take you back to the good old days of gaming. Compete in the online rankings by completing levels as fast possible! Show everyone your top-notch gaming skills! Speaking of top-notch, did you know that the controls of Slime-san: Superslime Edition are tighter than Robin Hood's tights?! True Story! Check out the Superslime Edition Trailer. What?! You’re still not convinced? Then how about this: Slime-san, according to metacritic, is currently ranked as the 31st best Switch game of 2017 and is among the top 15 best releases on the Xbox One and Playstation 4 in the last 90 days! 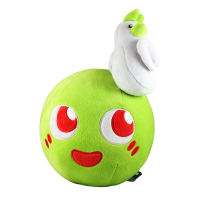 Enjoy Slime-san's slimetastic adventure, collect hundreds of apples, achieve-ments and other collectibles and... don't swim in stomach acid! That one’s important. And also self-evident, no? Celebrate Independence Day with the greatest independent party game ever! 04 July 2018 13AM's and Headup's ultimate party game Runbow is available now for PlayStation®4 and Nintendo Switch™. Get it now on the PlayStation®Store ( EU / US ) and the Nintendo eShop ( EU / US ) for only $14.99 and celebrate Independence Day with the whole family playing the greatest independent party game ever! In addition, there is a 20% Discount to all PS Plus Members. For some extra stuff, we recommend the Extra Val-Hue Bundle for both platforms, containing Satura's Space Adventure and four content packs with 10 additional costumes and 6 new songs. Of course, you can get all this seperately, too - just check your store's page. Runbow features an eye-catching color mechanic that has racers brawl against each other while objects and platforms appear or disappear based on the continually changing background color. All multiplayer modes can be played by up to 9 players simultaneously online, while it features 8-player local multiplayer madness on Nintendo Switch as well as 4-player local chaos on PlayStation®4. Besides that, it contains several co-op modes, also playable with that amount of players, as well as a bevy of content in its single-player modes that will test the skills and minds of any seasoned platformer.